Ayurveda, often translated as 'The Science of Life', is an ancient system of healing from India. This holistic system looks at how the five elements manifest uniquely in each individual and addresses imbalances based on your unique constitution. The result? A modality that 'sees' you as a person, not as your symptoms or disease. Kara Aubin is an Ayurvedic Practitioner, ParaYoga teacher, Ayurvedic Yoga Specialist, and Holistic Health Coach based in Kalamazoo, MI. 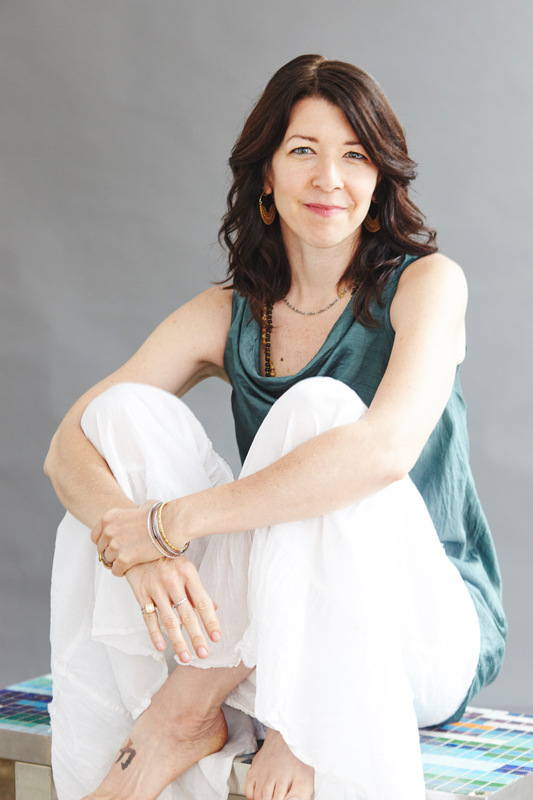 With 20 years of experience and training in the sciences of Yoga & Ayurveda with master teachers, Kara weaves the teachings of yoga, ayurveda, and holistic living into her clinical practice, group classes, workshops, and private sessions to share radical wellness with you. Kara’s mission is to guide students toward their bright inherent potential, as well as their right to radical wellness and balance. She finds the practices of Yoga & Ayurveda harness our capacity for self-healing, empower us to do our dharmic work in the world, and help us experience the beauty and bliss that is essential in each of our lives. Kara completed her Ayurvedic Practitioner certification, with over 1500 hours of training, under Dr. Vasant Lad at the renowned Ayurvedic Institute in New Mexico. She currently travels to Pune, India annually to continue her studies and support the clinical programs at the Vasanta Institute of Ayurveda. She is an Experienced Registered Yoga Teacher at the 500-hour level with Yoga Alliance, and has completed the rigorous ParaYoga Level I Certification under Yogarupa Rod Stryker. Kara continues her studies today with Dr. Vasant Lad, Rod Stryker, Sonia Masocco, Amruta Athale, and Pandit Rajmani Tigunait. She is also an Initiate of the Sri Vidya tradition, and an Ayurvedic Yoga Specialist trained via the Himalayan Institute. Free 10-minute Phone Consult: A short call with Kara to discuss how Yoga & Ayurveda can support you in your wellness and self-healing journey. Initial Consultation + Report of Findings: Where our Ayurvedic work begins. This package is required for all new clinical Ayurveda clients. Initial Consult should be conducted in-person. Additional follow-up appointments may be in person, or via video-chat when necessary. Initial Consultation (90 min) + Report of Findings (60 min). Ayurvedic Follow-up 60 min: Any consultation after an Initial Consultation. Review protocol, address new concerns, or update herbal formulation. Ayurvedic Follow-up 30 min: Short check-in on Ayurvedic Protocol. Must have been an active client within the last 3 months. Ayurvedic Quick Care: 15 min: A call or appointment for acute care issues (seasonal illness, migraines, digestive distress, pain, etc), open to clients who have already been through an Initial Consultation. Basti: An Ayurvedic oil therapy. Organic flour is used to create a reservoir that is placed over the affected area of your body (i.e. spine, knee, eye, heart). Warm medicated oils are poured inside the reservoir, concentrating the healing benefits of the oil where you need it most. Karna Purna: The practice of administering herbal oil to the ear, which supports ear health and issues such as tinnitus, hearing loss and vertigo. Lepa: A localized herbal application to deliver site or organ specific herbal action. Marma Chikitsa: An Ayurvedic acupressure-energy treatment. A marma point is a portal of prana or vital life-force. When imbalances block the movement of free-flowing energy in the body, the resulting stagnation leads to physical and mental discomfort and disease. Marma therapy is useful in: pain, stress, tension, energetic or emotional issues, balancing digestion, clearing toxicity, and calming the mind. Nasya Karma: Nasal oleation, Nasya addresses issues of the head and neck physically and the mind subtly, removing stagnation, and creating clarity. Nasya can benefit those suffering from allergies, sinusitis, frequent colds, stress, insomnia, and headaches. Netra Tarpana: Netra (eye) Tarpana (nourishment) tops the list of Ayurvedic therapies for issues of the eye. The organ of the eye, which also acts as a gateway to the mind and nervous system, is nourished with warm ghee in this stress relieving therapy. Localized marma therapy is also included. Shirodhara: Shiro (head) + Dhara (pour). This traditional Ayuredic therapy is a form of oil therapy in which a continuous stream of warm oil is poured over the forehead and third eye. Shirodhara facilitates a deep state of relaxation and has a profound impact on the nervous system. Your session begins with Marma Therapy for the head, and doshically appropriate medicated oils are used for the pour.